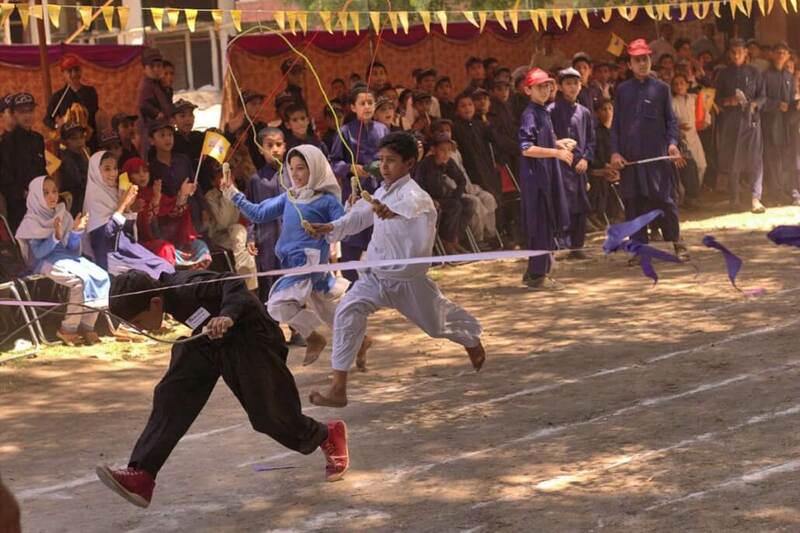 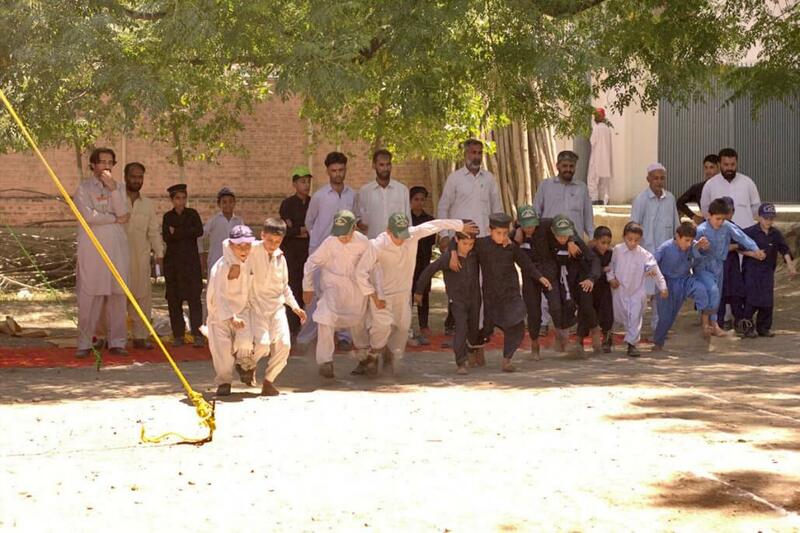 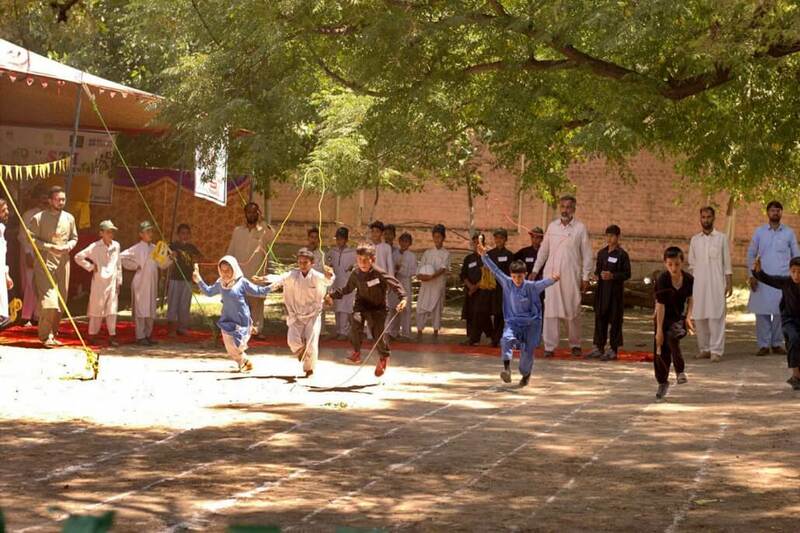 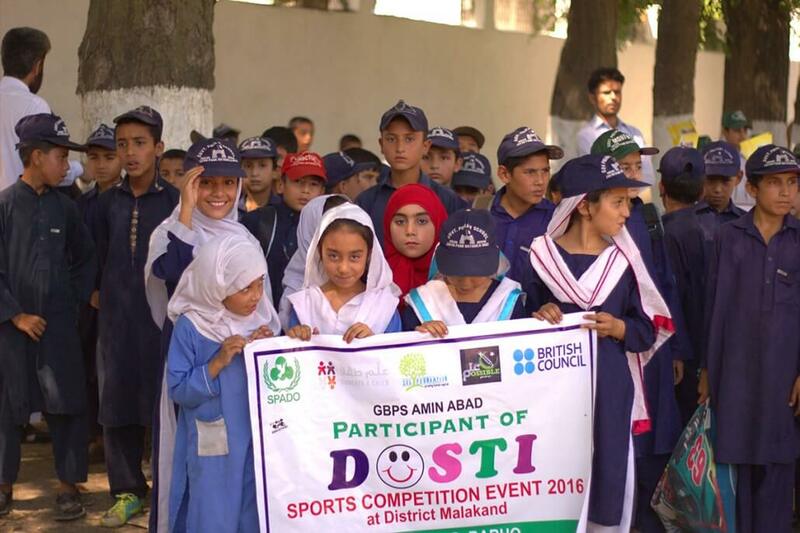 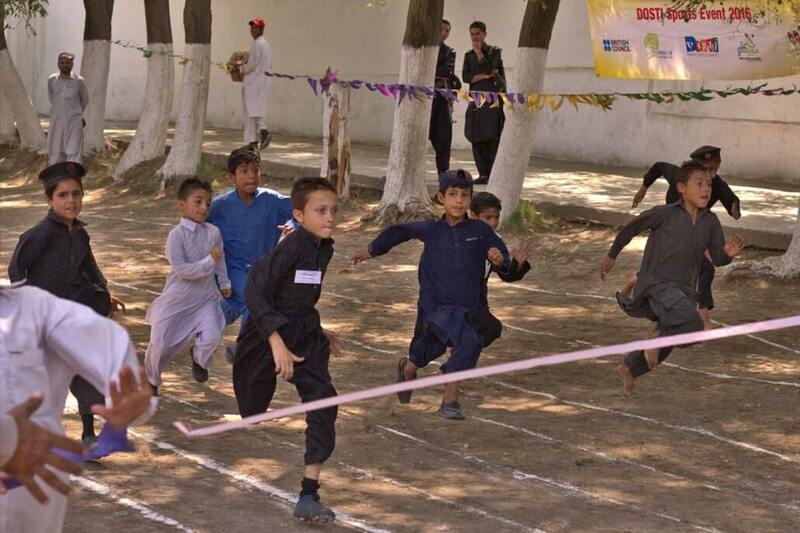 Male and female students from 10 Government Primary Schools of Malakand District participated in Dosti sports activities. 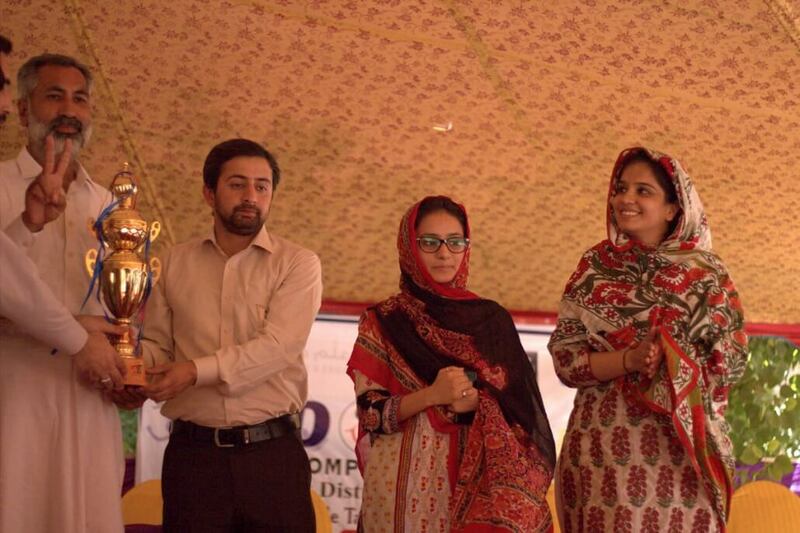 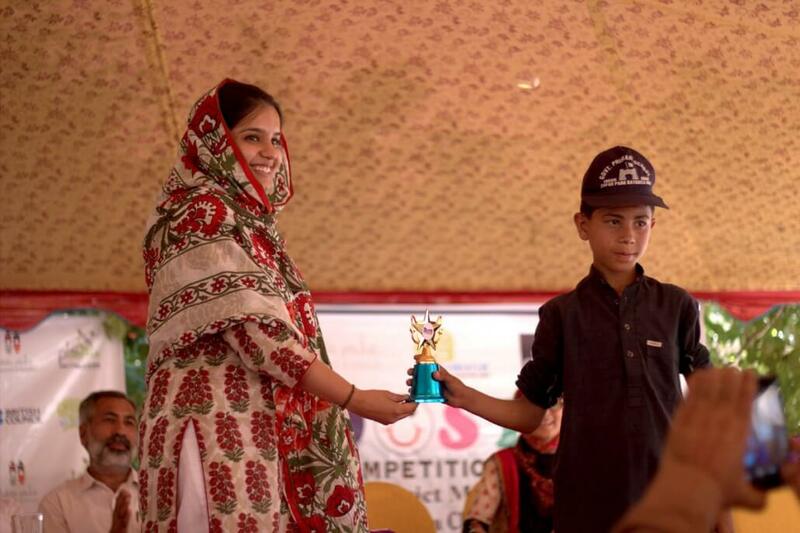 Awards and trophies were distributed among winners and runner-ups. 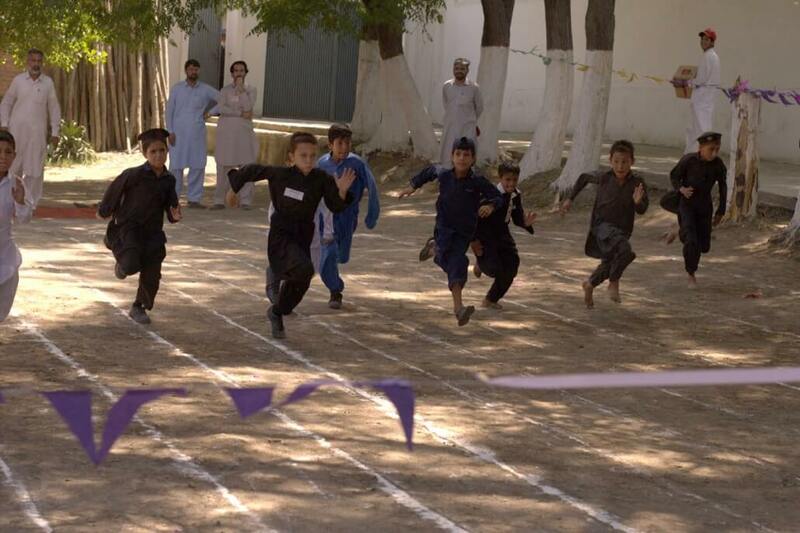 Students of Government Primary School No. 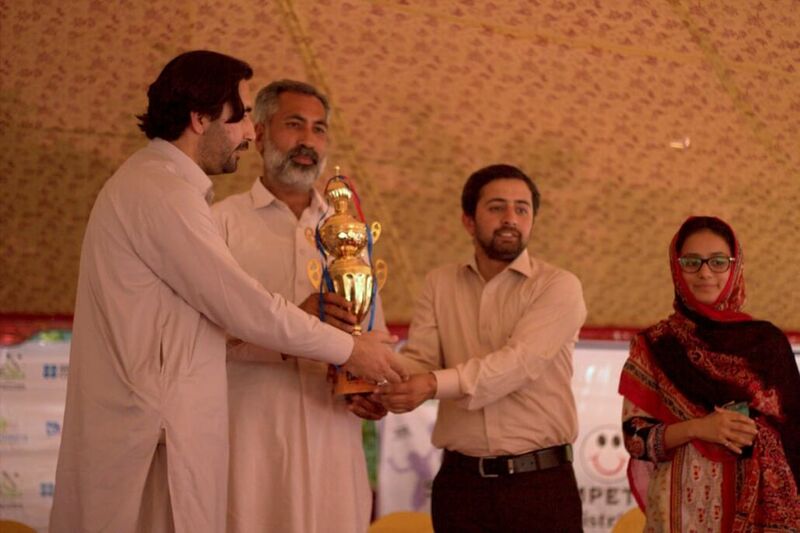 2 Dargai won the district trophy. 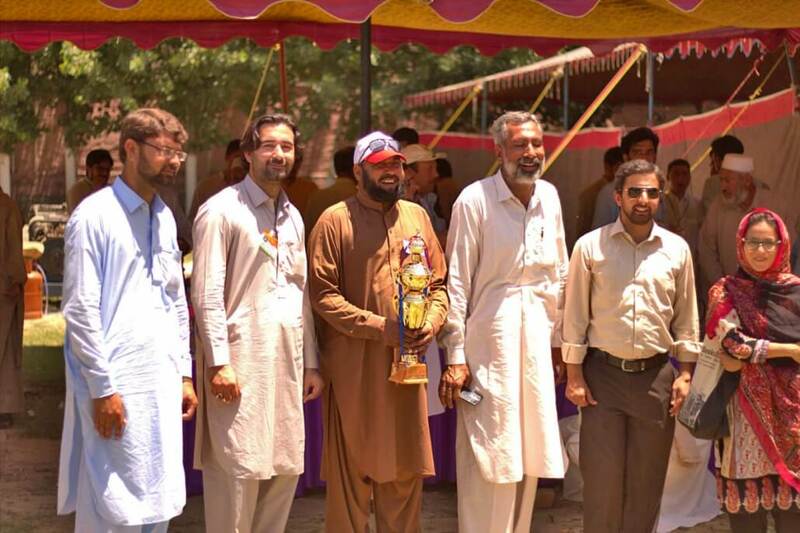 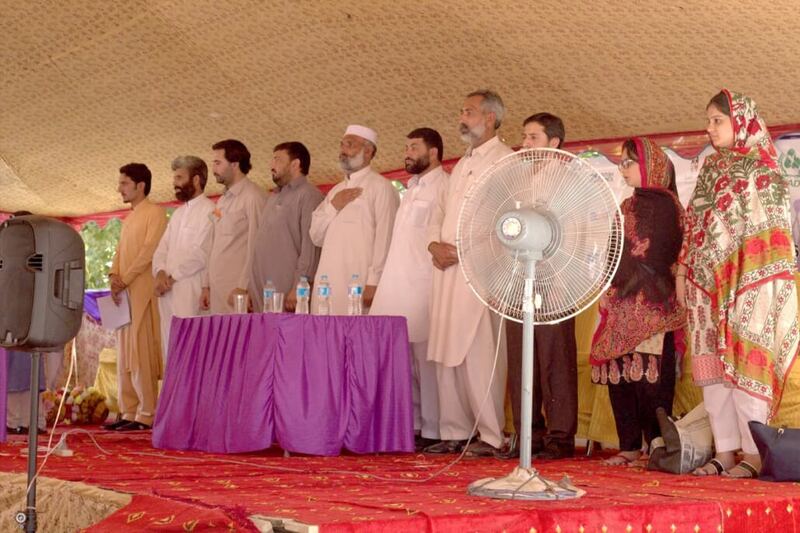 ADEO (Education), Representative of District Administration, Tehsil Nazim with other UC’s Nazims from different political parties, High School Principal and other Headmasters of Primary Schools and number of participants from community. 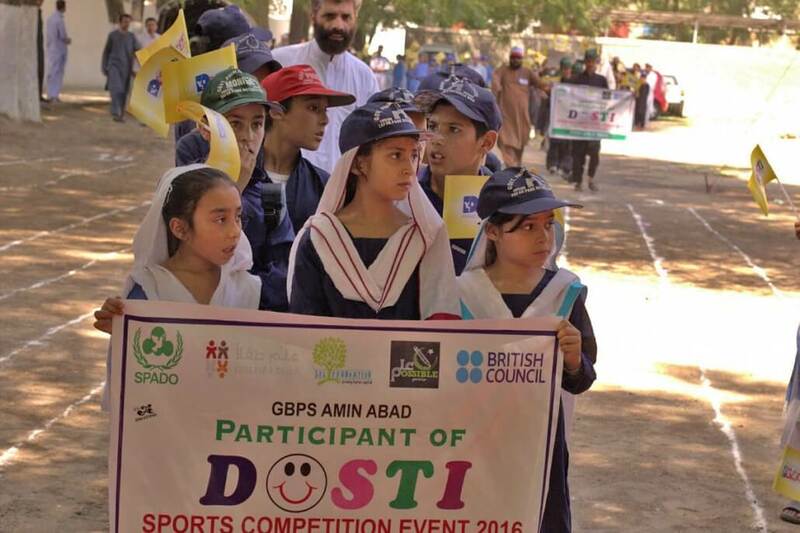 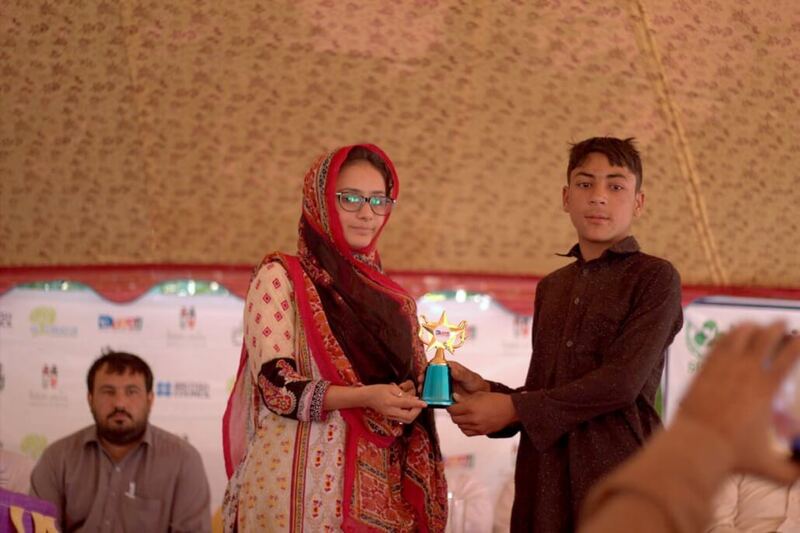 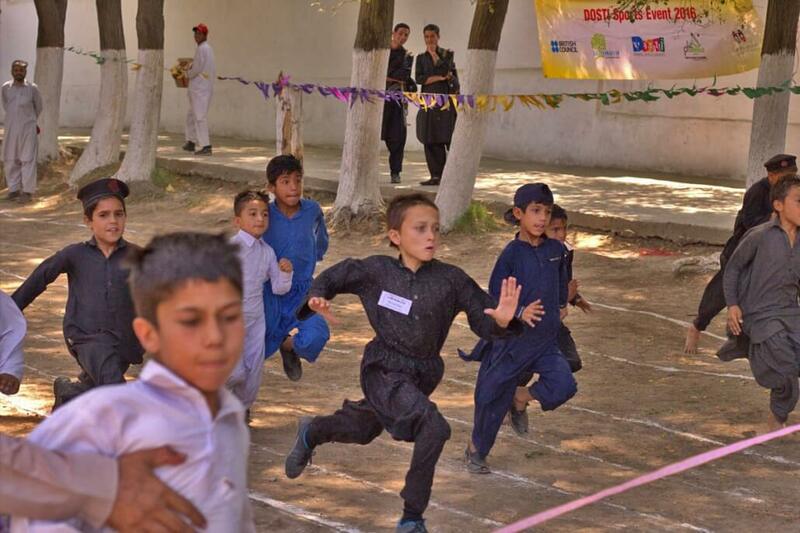 The main objectives of DOSTI program are to provide children their right to education (as per Article 25-A), encourage children to stay in school by making learning enjoyable, and promote physical development by engaging children in a variety of sports activities. 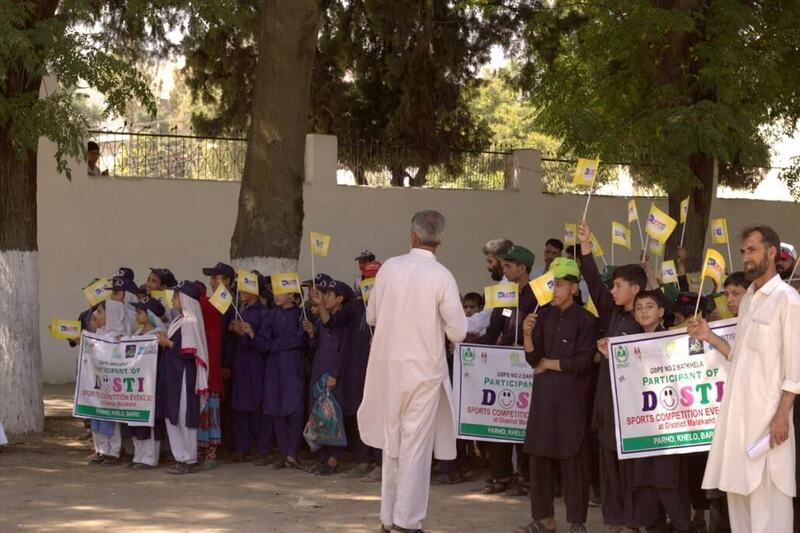 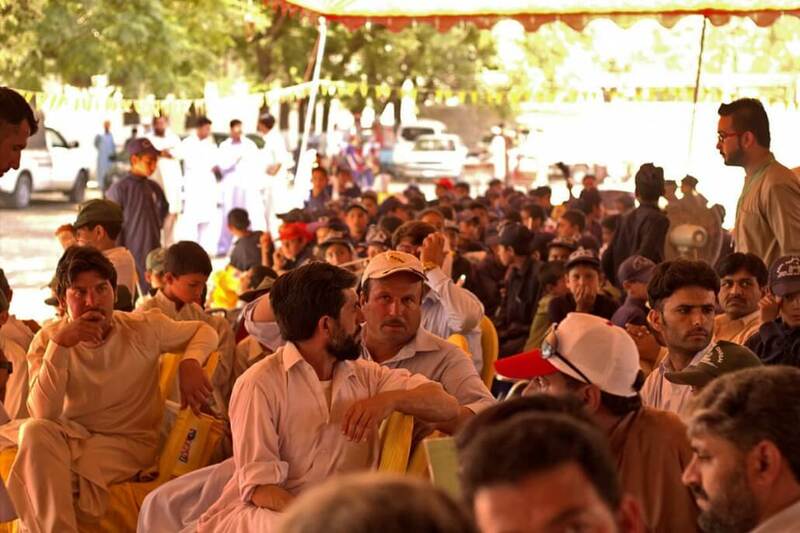 DOSTI has been rolled out in Ten Government Primary Schools of District Malakand by SPADO TACS Team. 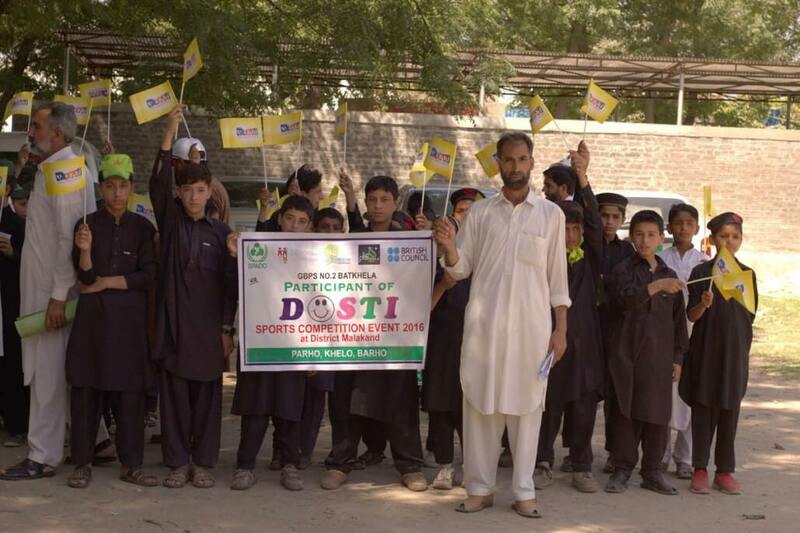 DOSTI Program is designed for students of class 1 and 3. 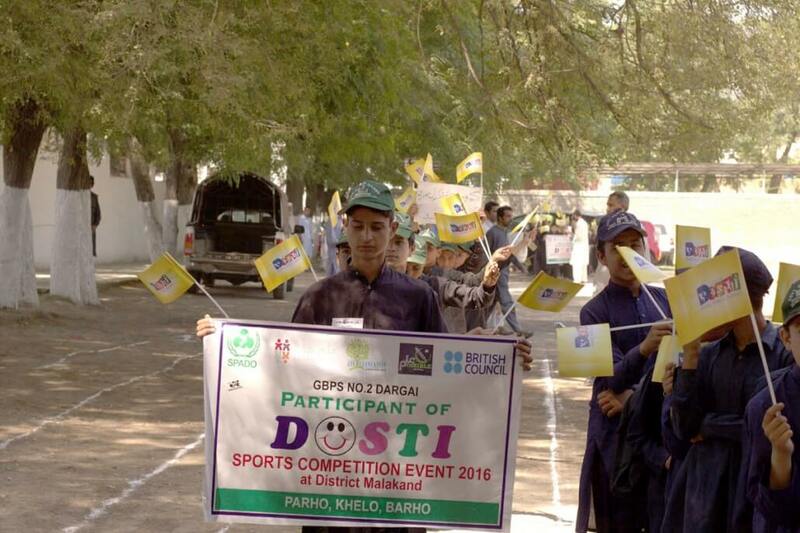 Each school had a DOSTI Team comprising of 2 teachers and 1 coach. 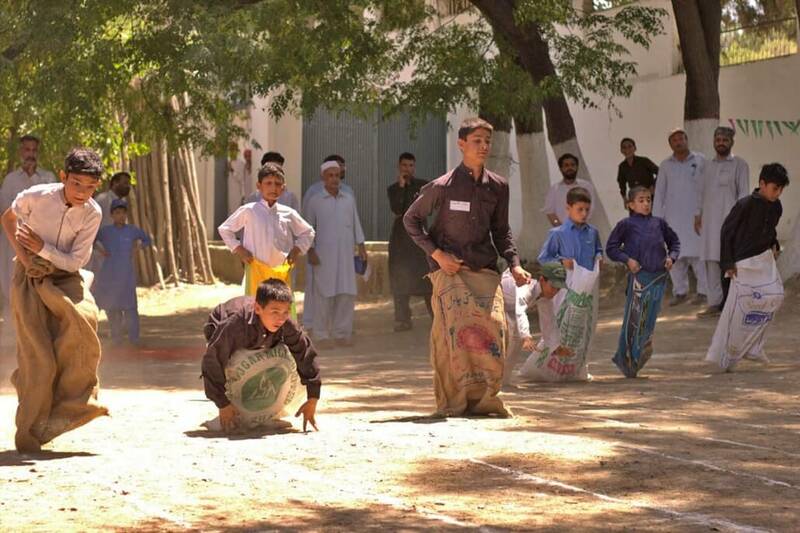 Every school had 2 sessions per week. 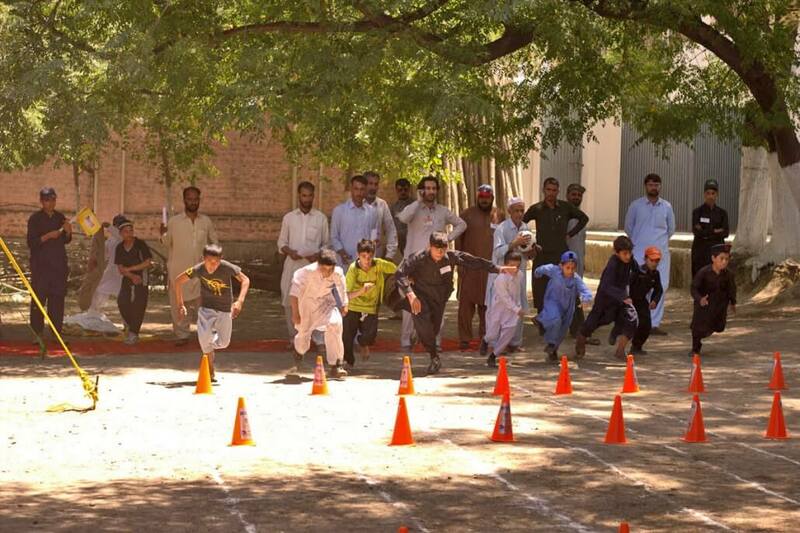 One session is consisting of warm ups and a story, while session 2 is dedicated to physical exercises solely. 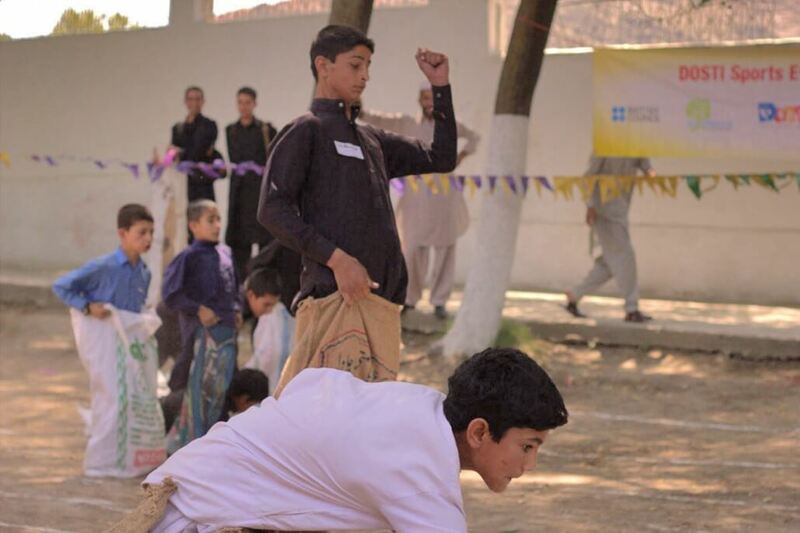 The stories taught to children are impart life skill education and covering themes such as Cleanliness and Hygiene, Feelings and Emotions, Environment and Positive Action, Diversity and Inclusiveness, Habits and Hobbies, Rights and Responsibilities, and Curiosity and Learning.